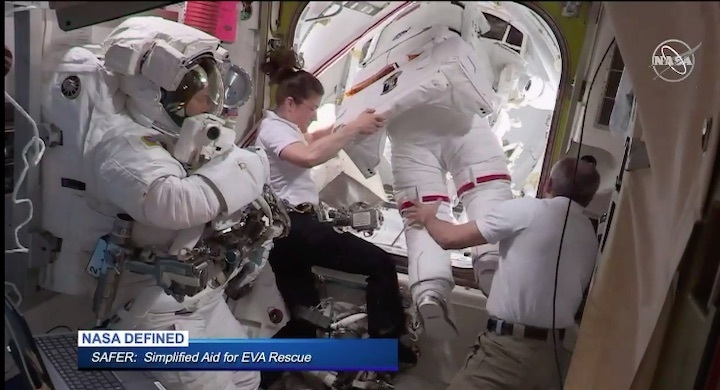 NASA astronaut Anne McClain assists fellow NASA astronauts Christina Koch (left) and Nick Hague as they verify their U.S. spacesuits are sized correctly and fit properly ahead of a set of upcoming spacewalks. 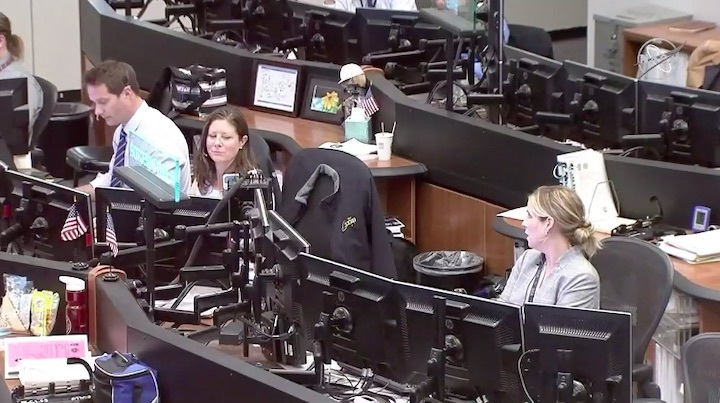 Two Expedition 59 astronauts are checking their spacesuits today and reviewing procedures one final time before tomorrow’s spacewalk. 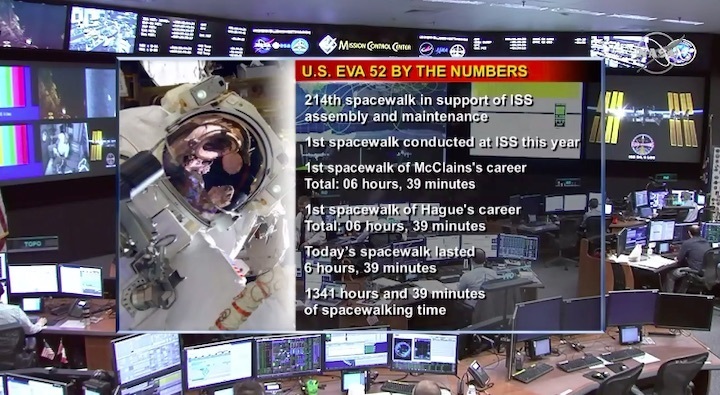 The other four residents aboard the International Space Station assisted the spacewalkers, maintained the orbital lab and conducted space science. 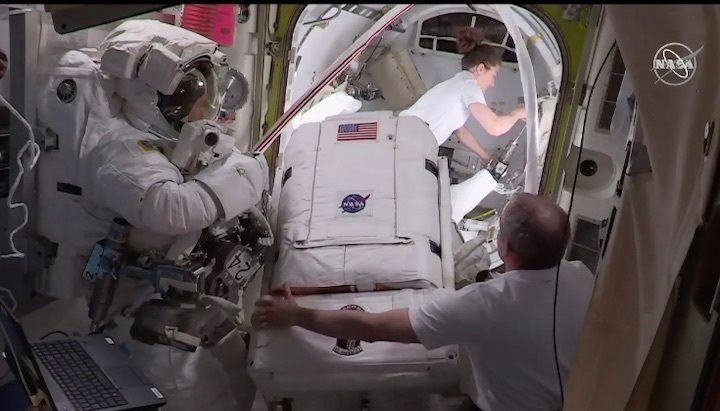 NASA Flight Engineers Anne McClain and Nick Hague readied the Questairlock today where they will begin the first spacewalk of 2019 Friday at 8:05 a.m. EDT. 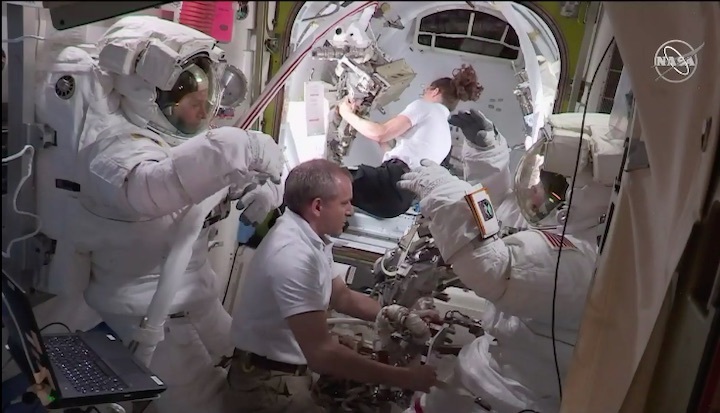 The spacewalkers will work outside for about 6.5 hours of battery upgrade work on the Port-4 truss structure. 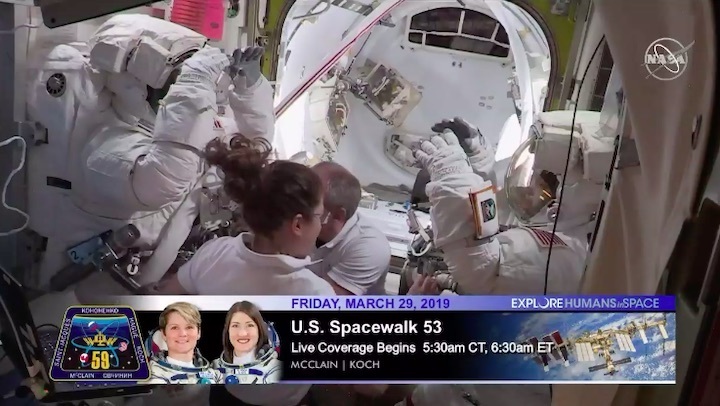 NASA TV begins its live spacewalk coverage at 6:30 a.m. 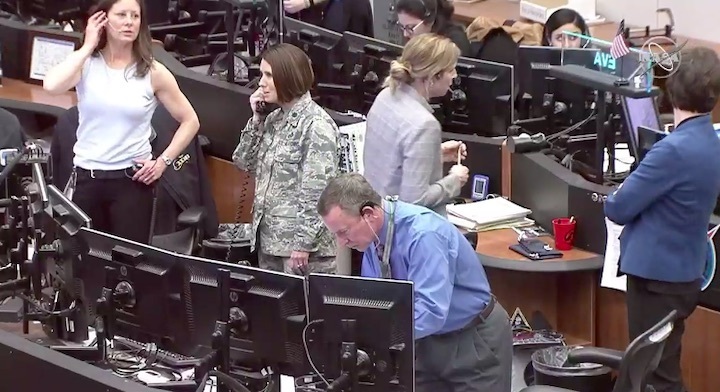 They then joined astronauts Christina Koch and David Saint-Jacquesfor a final conference with spacewalk experts in Mission Control. 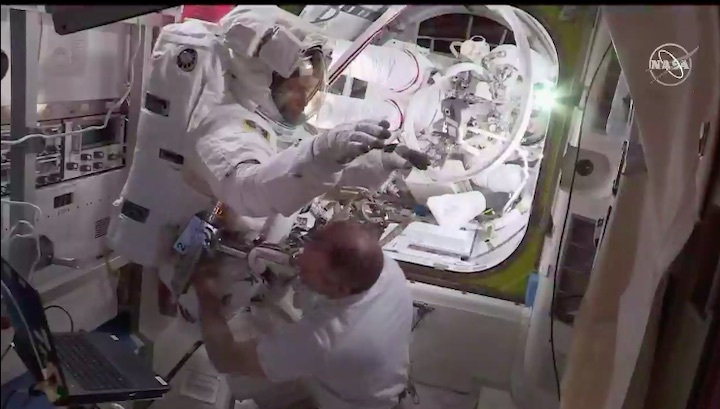 Both astronauts also charged and set up GoPro cameras before attaching them to the spacewalkers’ suit helmets. 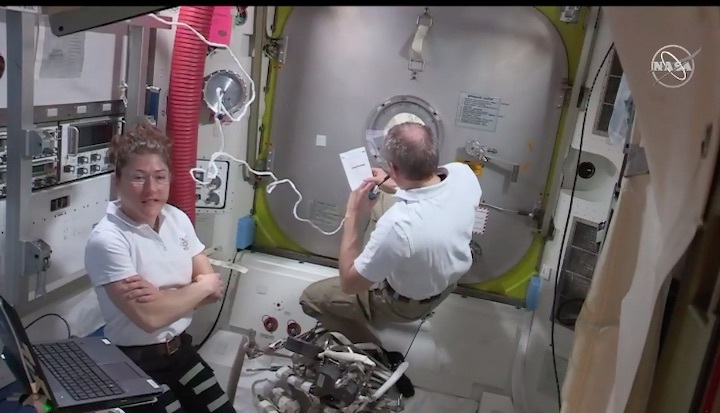 Koch started her day cleaning ventilation screens in the Unity moduleand installing lights in the Permanent Multi-purpose Module. 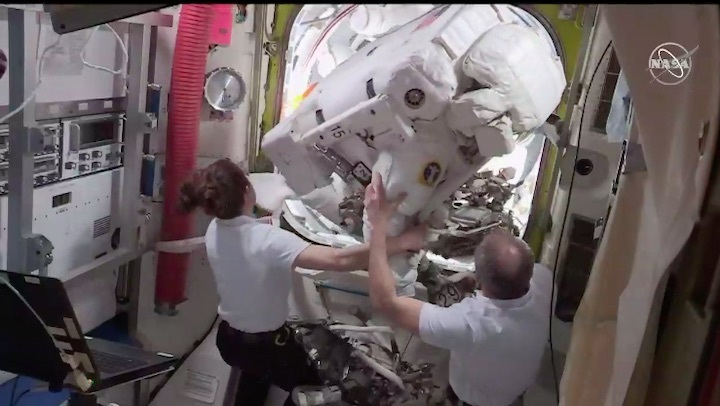 Saint-Jacques set up the AstroPi science education hardware in the Harmony module’s window then swapped fan cables in the Life Sciences Glovebox. 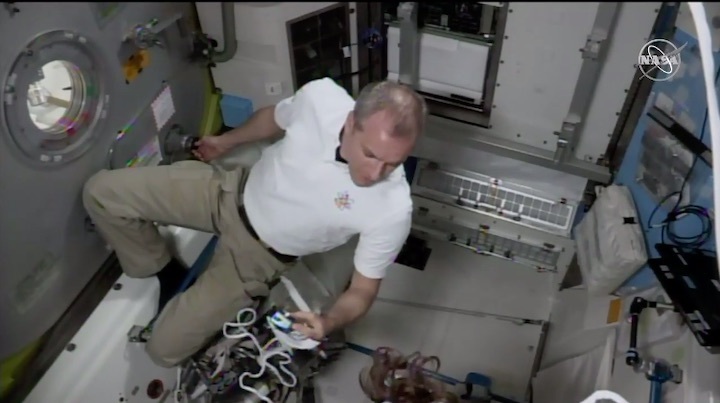 Commander Oleg Kononenko and fellow cosmonaut Alexey Ovchininspent the majority of their day in the station’s Russian segment. 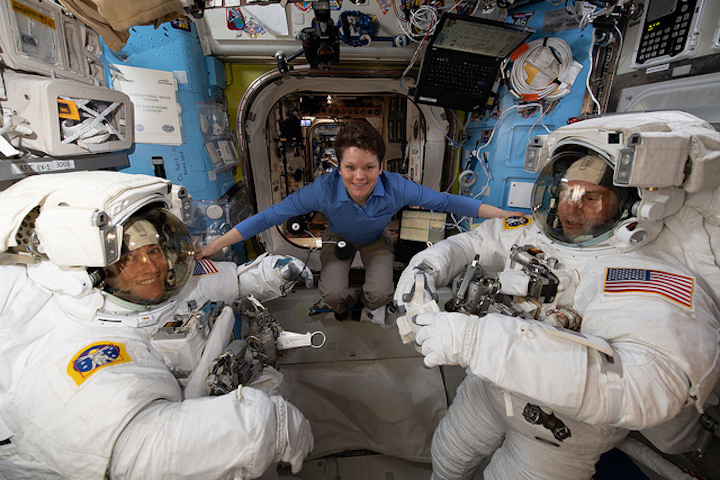 Kononenko and Ovchinin first collected and stowed their blood samples in a science freezer for a Russian metabolism experiment. 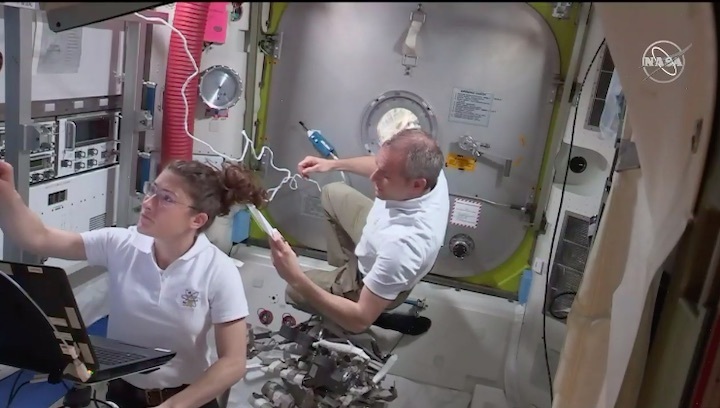 Ovchinin then unpacked supplies from the recently arrived Soyuz MS-12 crew ship. 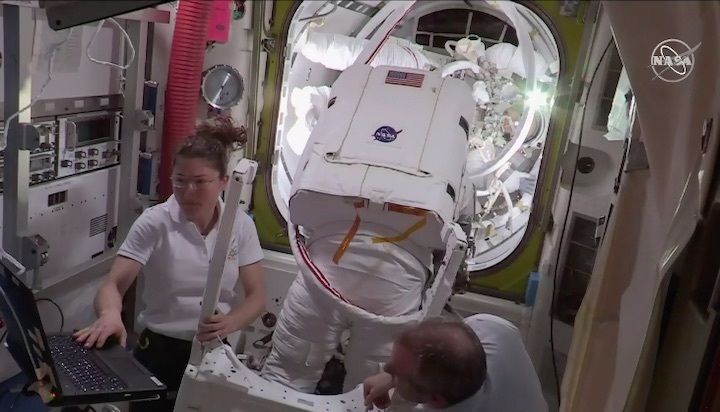 Kononenko also worked on heart and radiation detection research before assisting the U.S. spacewalkers. 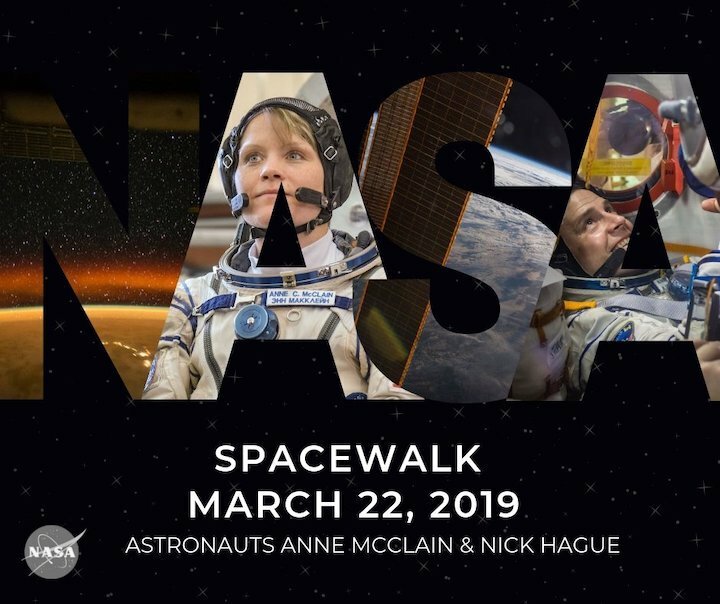 Tomorrow 22.03.2019 marks the first spacewalk of 2019! 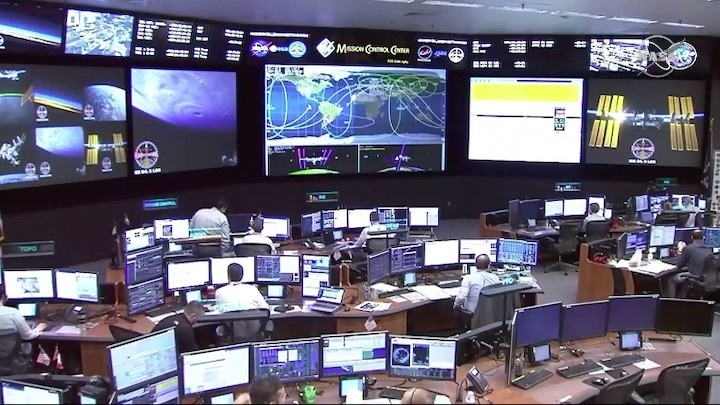 @AstroAnnimal & @AstroHague will work outside in the vacuum of space for about 6.5 hours to upgrade the @Space_Station’s power storage capacity.